When you're too busy to come to us, we'll come to you. Mobile Banking is the ultimate on-demand banking service, allowing you to access your account information whenever and wherever you want. Use your mobile phone to conveniently and securely bank the way that’s best for you. Now you can pay the bills you have set up through Online Bill Pay from your phone. Just select your payee from the list, enter the amount, payment date and confirm. That's it! Never miss a payment again. You can also view and modify pending payments. Mobile Bill pay is available to all Online Bill Pay subscribers. 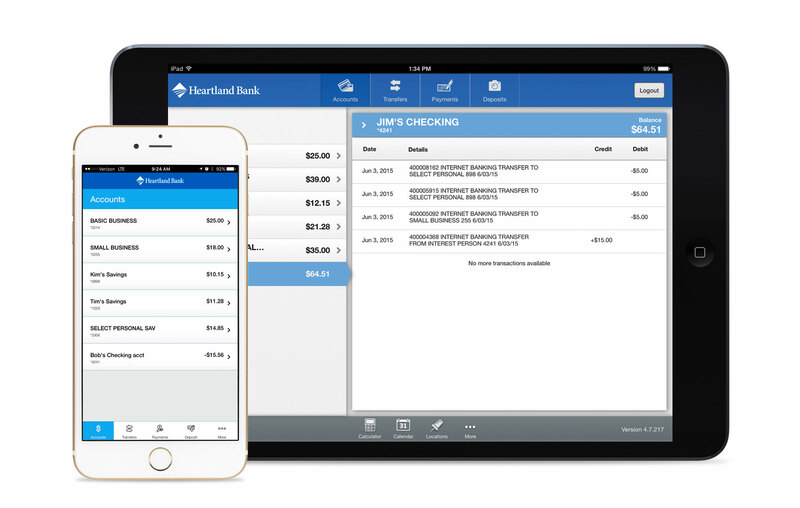 If you have an iPhone®, Android® smartphone, iPad®, Android® tablet, or Amazon® tablet, search your device's app store for "Heartland Bank NE." Once you have logged into the app, it will be set up for your device, and you will only have to input your password the next time you open the app. 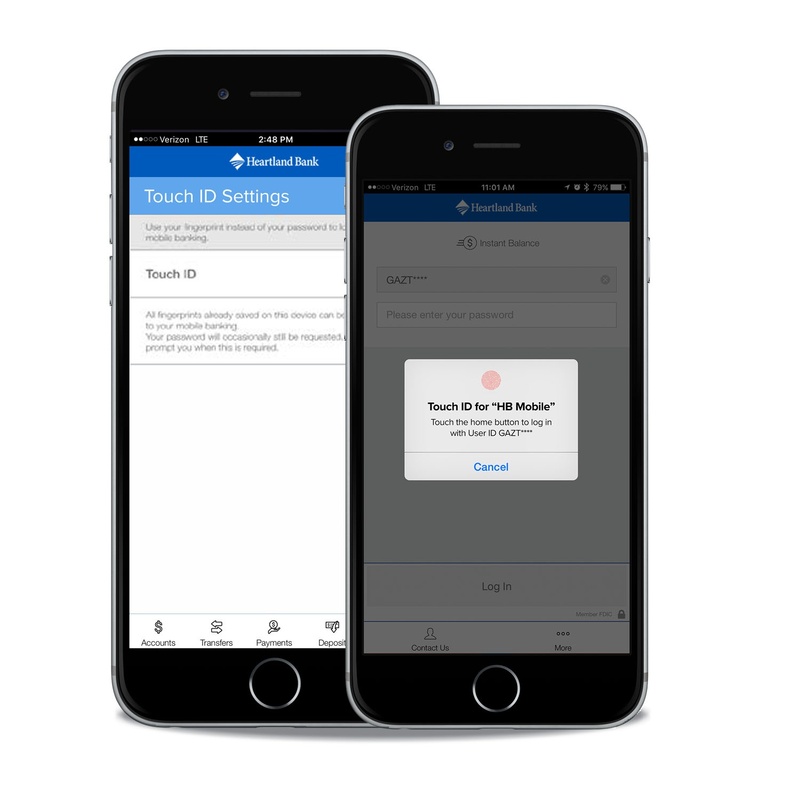 Want to be able to log in without going through the time-consuming process of typing in your password.The Touch ID feature lets Apple users log into mobile banking with just the touch of their fingertip. 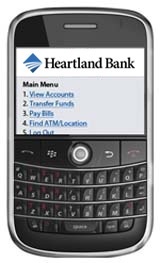 To enroll in Mobile Text Banking, first log into your Online Banking account. Once logged in, click on the "Profile" link in the top right navigation menu. Scroll down to the Mobile Banking section and click on the Enroll button. Click on the "Add New Device" button. Once redirected to the next page, complete the form under the Other Services section. A text message will be sent to your mobile device with instructions for logging into Mobile Banking. To manage the devices you have enrolled in Mobile Banking, you need to log into your Online Banking account. Mobile Banking employs the highest security thanks to multiple layers of authentication. This ensures your information is protected at all times. Depositing a check is now as easy as snapping a photo from your smartphone.